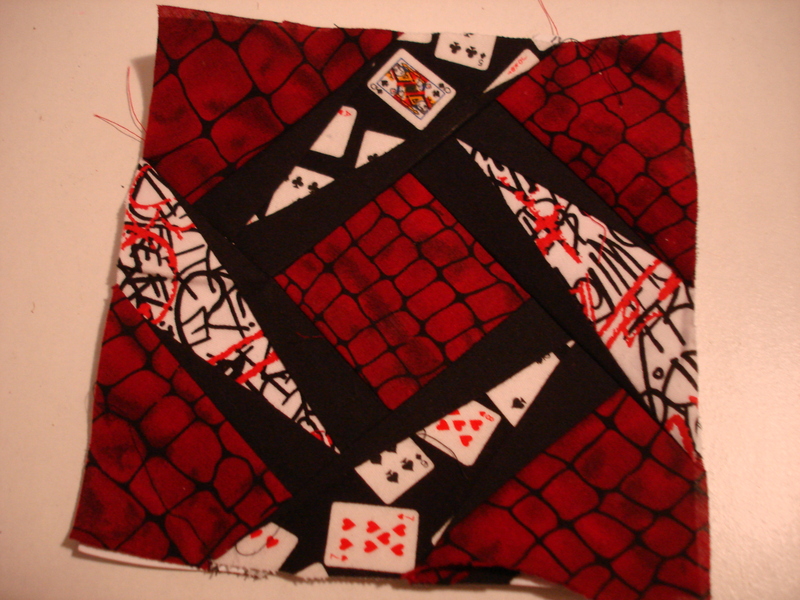 I have been working on a quilt for Paul for a while, gathering fabric. I put together this block called Crow’s Beak yesterday. If you want to copy it the template and instructions are at Quilters’ Cache by Marcia Holn. I will be altering the template myself. The way she puts it together the last piece has to be inset. I want to change that so it can just be sewn straight across without being inset. My whole quilt will not be that pattern. I have so many different ideas for his quilt right now. 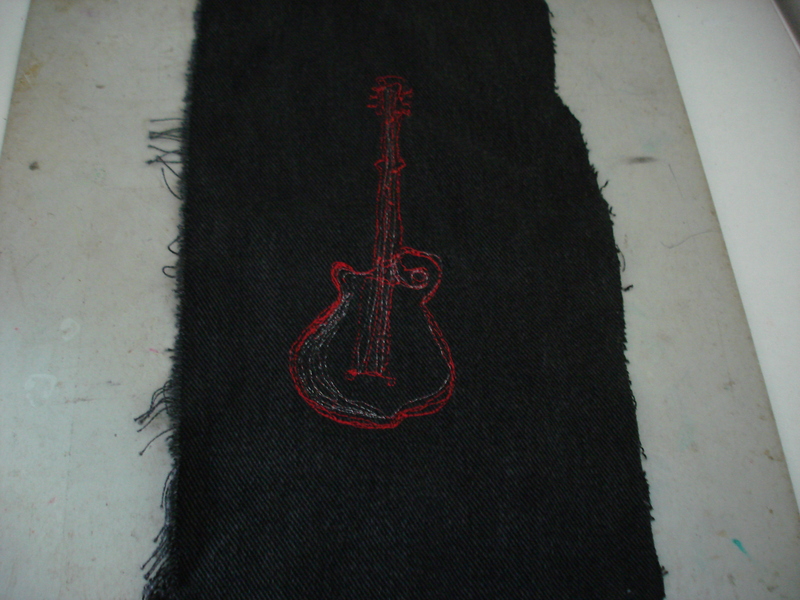 Here’s another block, unfinished, with a guitar I thread sketched. You may be amazed by my awesome ability to thread sketch but there is a really easy trick to it. Get a photo or a drawing you like and then lay it on the back. Stitch right through the paper following the drawing. Remember to photoshop with mirror image it, if it has words. I usually drop my feed dogs and use a free motion embroidery foot. You have to be a little aware of your sewing machine tension when you do this since the bobbin thread will be the right side. When I’m done I rip the paper off. I don’t worry too much about little paper shreds since they will be inside the quilt.